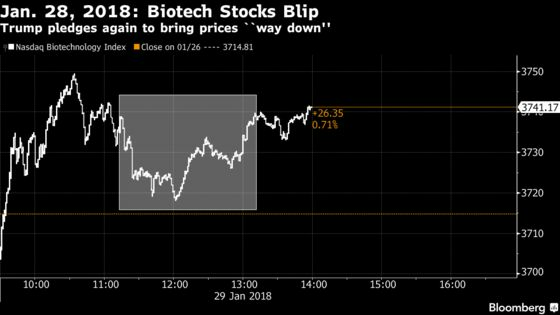 (Bloomberg) -- The days when Donald Trump could rock pharmaceuticals stocks with mere threats about drug prices are gone. The response of investors was short-lived. New York-based Pfizer, which was up 1 percent before the tweet, initially dropped but rebounded to a gain of about 0.3 percent. The Standard & Poor’s 500 Health-Care Index quickly recovered most of an initial dip, and so did the Nasdaq Biotechnology Index. 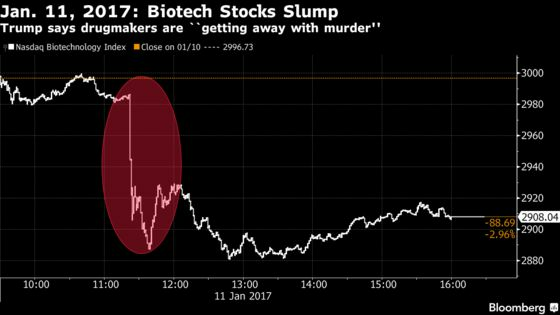 That’s a big contrast with January 2017, when Trump, then president-elect, sank pharmaceutical and biotechnology stocks when he said companies are “getting away with murder” with high drug prices. 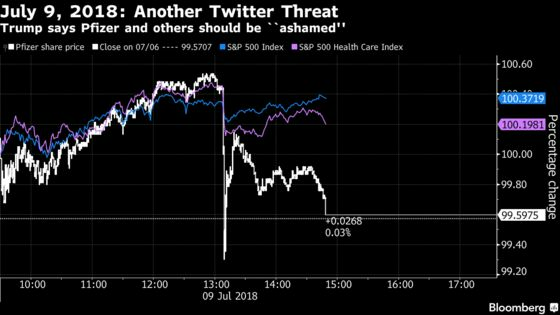 More than 18 months and several threats to drive drug prices down later -- mostly via tweets -- Trump has yet to announce any major policy from his administration.